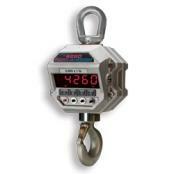 Since 1977, Measurement Systems International has offered customers throughout the world a comprehensive line of niche technologies within their quality line of weighing devices from tension dynamometers to crane scales. Pioneers in the use of many technologies, including combining strain gauge and microprocessor technologies into self-contained portable weighing equipment, MSI continues to lead the industry with innovative products and renowned customer service. MSI Scales comprehensive line of quality industrial electronic scales, tension dynamometers, aircraft load monitoring instrumentation, RF wireless data acquisition and signal processing systems are sold throughout the world by a qualified, factory-trained, distribution network to virtually every industry; including aerospace, agriculture, aluminum, forestry, marine, medical, mining, nuclear, petrochemical, transportation, utility, iron and steel. Engineered flexibility allows MSI to respond to a diverse range of applications with standard products. At MSI, you can purchase off the shelf or collaborate with us to develop an integrated solution tailored to your business and existing infrastructure. MSI TranSend Wireless Load Cell InterfaceFrom the initial weighment on the scale to the final numeric value on the indicator, efficient communication is key to the success of the entire operation. Whether it’s overhead, livestock, tank, or heavy capacity weighing, once your traditional conduit is damaged or needs to be replaced, communication is halted and so is your operation. MSI-3460 Challenger 3 Crane ScaleA classic crane scale for broad-capacity crane scale applications, known for its strict compliance with safety standards. 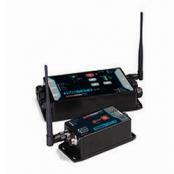 MSI-3460's latest instrumentation technology, the ScaleCore™ measurement module, is the central enhancement of the Challenger. Capacity range from 250 to 15,000 lb. 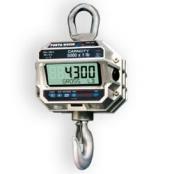 MSI-4260 Port-A-Weigh Crane ScaleIntroduced in 1980, the MSI-4260 Port-A-Weigh established the original industry standard for accurate, reliable, and safe overhead crane weighing. After three decades of production, added advancements, and thousands of worldwide installations, the next generation Port-A-Weigh embedded with ScaleCore™ technology continues to reign as the industry standard. 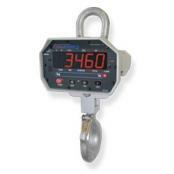 MSI-4300 Port-A-Weigh Plus Crane ScaleThe MSI-4300 Port-A-Weigh is an established crane scale for medium to heavy capacity and duty-cycle applications requiring a large LCD display. 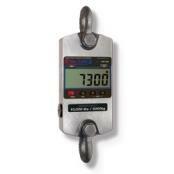 Offers a marine-grade alloy enclosure that's ideal for fishing and marine environments. MSI-7300 Dyna-Link Tension DynamometerThe industry's most advanced digital tension dynamometer, the new and improved MSI-7300, provides even more features and benefits than earlier dynamometer models. The new Dyna-Link 2 offers a lightweight, portable design for better handling, and superior viewing with its large 1 inch display.